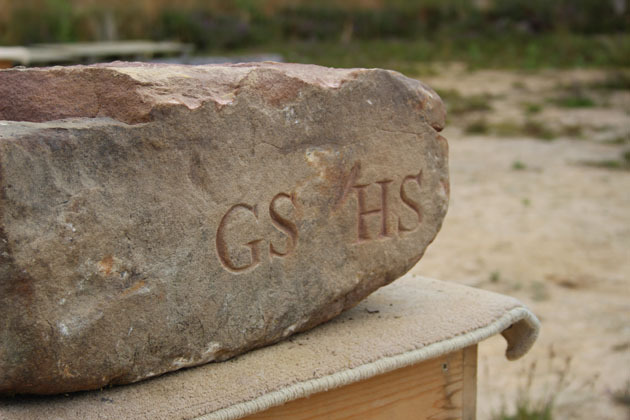 The stone carved during the lettering workshop at The Dry Stone Wall Maze is random walling stone. 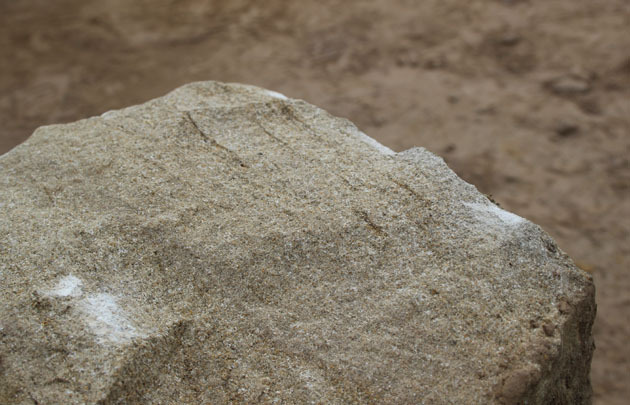 In a way ‘unknown stone’ – some has been used in buildings previously, some pieces were part of fallen field boundary walls, some reclaimed and some new quarried. All with a history. 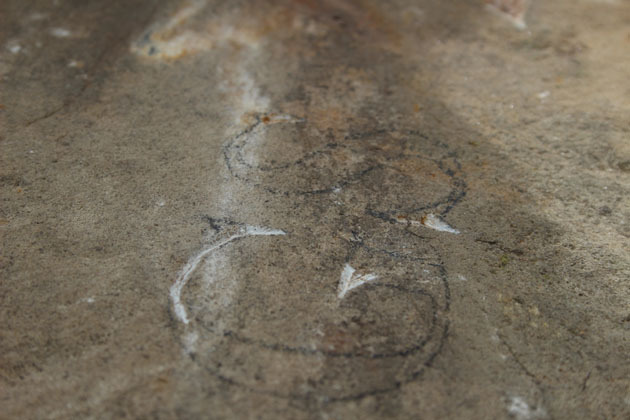 Most of the pieces we’re working are sandstone, selected from the vast pile because they have a relatively flat surface suitable for lettercutting. 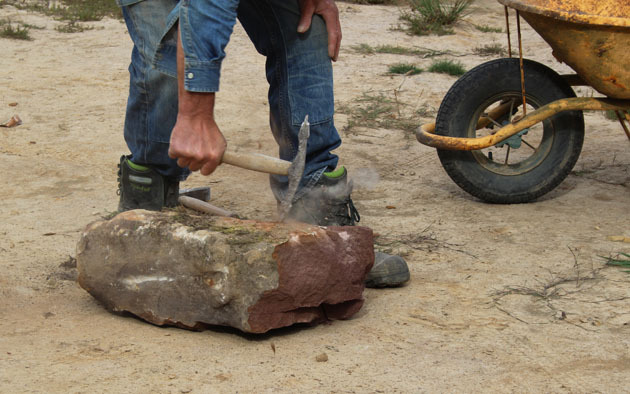 Those attending the letter cutting workshop at the maze have the opportunity to choose a stone from this pile that they would like to work – a bit depends on size, how many letters they will carve – but mostly stones are chosen because their shape, look and colour appeal, the stone somehow speaks to them individually. 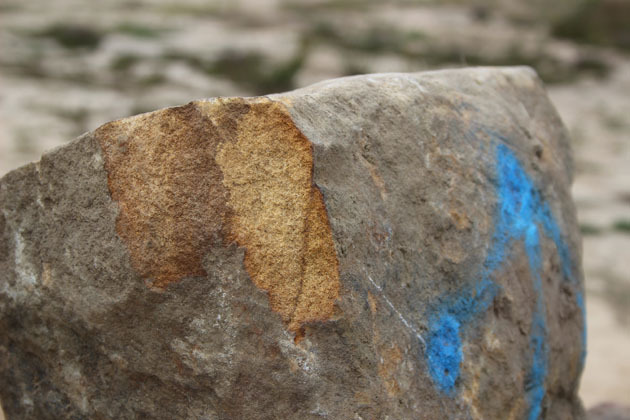 This weekend at the workshop there has been a lot of talk about stone colour – often the minerals, ores, and sediment condition during the stone’s formation dictate the colour – but other factors such as weathering, staining and pollution can also play a part. When the lettering chisel cuts through the surface of the stone, there can be a change in stone colour (and texture) which give a really delightful effect. Some of the stone worked had a rust coloured surface with pale cream inside, another stone was red/purple coloured with grey spotting, other pieces had whorls of rich brown running through a buff/grey. 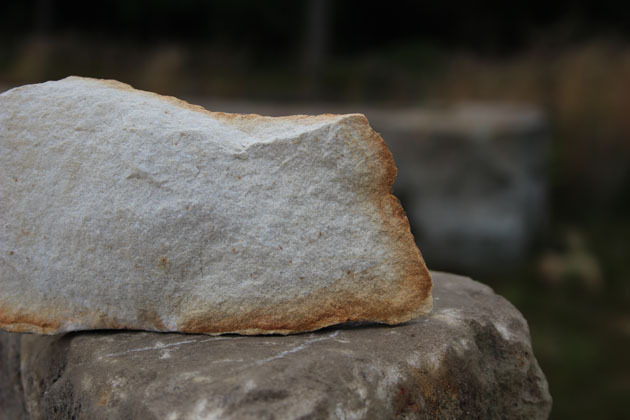 Sometimes the stone surprises with pockets of colour or different hardness. All these factors have an effect on the end result and are part of the delight and wonder of working stone. 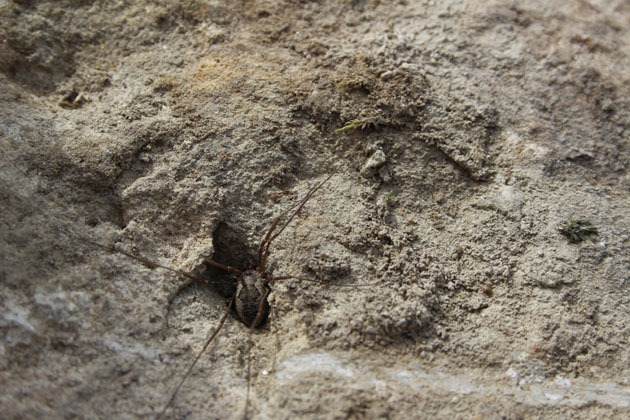 A very young carver joined us, who chiselled his initial and then a spider (he had seen a spider’s nest in the maze wall) with great enjoyment and some talent. We had a conversation about what he wanted to do when he grew up, I hoped he would say ‘sculptor’ or ‘stone carver’ as he had done so well, but he favoured being an astronaut and exploring space. I suggested he take the mallet and chisels with him – “yes”, he said, “so I can carve the moon”. 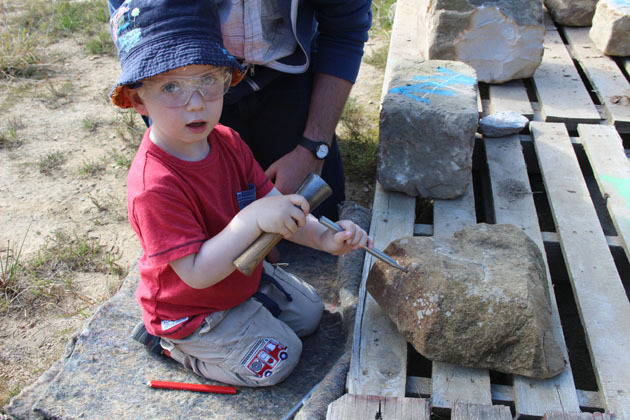 The next Lettering in Stone Workshops at The Dry Stone Wall Maze site in Dalby Forest are on Sunday, September 11th, 2016. Thank you for such a fabulous afternoon at the wonderful maze site. It is such a wonderful project and it was great to add my intials to it. The little man had a wonderful time and he still wants to carve the moon! So glad you enjoyed the workshop and thankyou for adding your stone!